Sat. Mar.18: Pack and get ready to go! Sun. Mar.19: Drive to Quebec, stay overnight. Mon. Mar.20: Night @ Ice Hotel! Brrrrrr! Tues.-Fri. Mar.21-24: Night at hotel/hostel/YWCA with skiing and city exploring during the day. 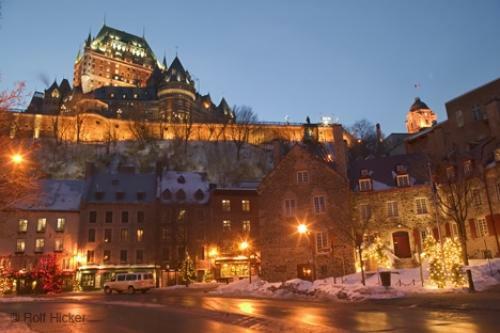 There is a lot of stuff to do in the area of Quebec City. First of all, the city itself is very old, founded by the French in the 17th century. It is the ONLY walled-in city north of Mexico. Can you believe that? There is a "castle," which you can see in the picture I posted, and lots of other stuff. Outside of the city, there are many activities like cross-country skiing, and snowshoeing, even dog sledding, but we are on a budget, so looks like cross-country skiing is the winner! I am hoping to be able to make reservations at the YWCA in the city. They have 17 rooms, each decorated uniquely. Check it out! Other hotels/motels are running at the cheapest $60/night. The YWCA is charging $45/night. Well, there are also hostels, but they are not so cheap as expected. You can find hotels for the same price! The second pic here is the entrance the the Ice Hotel we will be staying at for one night. I can't wait! Looks like this mini vacation for spring break will be awesome!